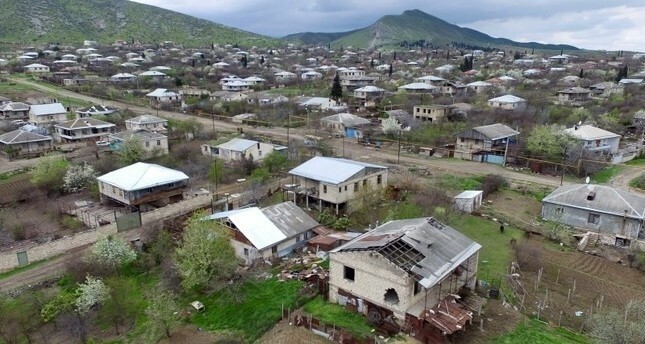 Foreign ministers of Azerbaijan and Armenia on Monday met in Moscow to discuss the longstanding Upper Karabakh conflict, the Russian Foreign ministry said in a statement. Azerbaijan's Elmar Mammedyarov and Armenia's Zohran Mnatsakanyan discussed further stabilization in the conflict zone particularly during the agricultural season, the statement said. "The ministers expressed their readiness to start practical work on establishing contacts among people, including mutual visits of media representatives," it added. The meeting of the two ministers was held with the participation of the Organization for Security and Co-operation in Europe (OSCE) Minsk Group co-chairs, who reiterated their commitment to the mediation mission aimed at achieving sustainable peace in the region. According to the statement, the two foreign ministers confirmed their intention to continue efforts to resolve the dispute through political and diplomatic means. Karabakh -- a disputed territory between Azerbaijan and Armenia -- broke away from Azerbaijan in 1991 with military support from neighboring Armenia, and a peace process has yet to be implemented. Three UN Security Council resolutions and two UN General Assembly resolutions refer to Karabakh as part of Azerbaijan, and the Parliamentary Assembly of the Council of Europe refers to the region as being occupied by Armenian forces. The Armenian occupation led to the closing of the frontier with Turkey, which sides with Baku in the dispute.